If you would like to participate in or learn more about our virtual tutoring and interactive programs— Advanced Skype Tutoring, Big Brother/Big Sister Skype Conversation, Skype Peer-to-Peer, and Skype Guest Lecturer— in Haiti and Armenia, please contact us at info@CharitableConfections.org. Our video/podcast series entitled Attacking Poverty in Eight, features scholars from Harvard, MIT, and London School of Economics, as well as other noteworthy professionals and humanitarians with whom we are working, distill what they have learned during the course of their careers into eight-minute long videos that will be geared specifically to children and young adults living in poverty. Our second series of videos/podcasts, Fun Facts in Five, has experts in their fields give mini-tutorials about their careers in order to inspire and give a bit of insight to the children in Haiti and Armenia into what it takes to succeed in a variety of professional fields. The Young Movers and Shakers series will feature those who are in their teens and twenties who are following their passions and accomplishing their goals. All series will be translated into Kreyol and Armenian in order for the students with whom we work to be able to better understand them. 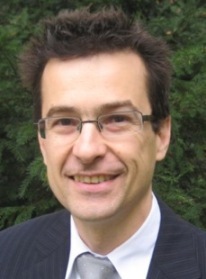 Diego Rodriguez Palenzuela is the director of general economics at the European Central Bank. Dr. Rodriguez is responsible for monitoring, analyzing, and conducting studies from a monetary policy perspective on conjunctural and structural macroeconomic developments in the euro area and in the largest five economies. He was the organizer of the 2017 joint ECB and MIT (where he received his Phd in economics) conference on fostering entrepreneurship and innovation in the EU. He is the coordinator for research on output growth and competitiveness for the Eurosystem’s Research Coordination Committee and the head of the Eurosystem Task Force on the measurement of potential output growth and sectoral macroeconomic adjustment in the euro area. He is also the president of Collegio Decroly, a charter school in Madrid that participated in Charitable Confections' peer-peer Skype program with our HSA students in Cite Soleil. Dr. Rodriguez discussed the relationship between money and poverty with us. Dimitri Vayanos is a professor of finance at the London School of Economics, where he also directs the Paul Woolley Centre for the Study of Capital Market Dysfunctionality. His research, published in leading economics and finance journals, focuses on financial markets, and especially on what drives market liquidity, why asset prices can differ from assets’ fundamental values, why bubbles and crises can occur, and what are appropriate regulatory and policy responses. 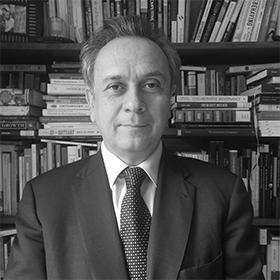 He is a former editor of the blog Greek Economists for Reform, an editor of the book Beyond Austerity: Reforming the Greek Economy, and an author of the European Safe Bonds (ESBies) proposal. We asked Professor Vayanos about his thoughts on the relationship between money and poverty. Jan Wampler is a professor emeritus of architecture at the Massachusetts Institute of Technology (MIT) and a Markbourgh Distinguished Chair at University of South Florida. He has also taught at University of California/Berkeley, Rhode Island School of Design, and Tsinghua University in China. He is the author of All Their Own: People and the Places They Built and Open Notes for Young Architects. Professor Wampler believes that architecture is not only about designing buildings, but also about designing ways for people to have a sustainable economic income. He's applied this philosophy to his numerous international projects, including redesigning buildings after earthquakes, which he discusses in this video. Wally Amos is an entrepreneur and founder of the popular Famous Amos cookie brand. His newewst venture is the Cookie Kahuna company, which is based in Hawaii. In his previous career, he was a top agent at the William Morris Agency, during which time he discovered and signed the Grammy-winning band Simon & Garfunkel. Wally shared with us how he turned his passion for cookies into success, and how you can find success in your own passions. 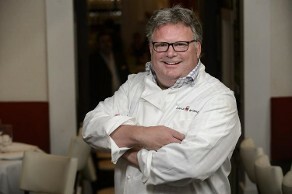 David Burke is a celebrity chef and owner of the popular restaurants BLT Prime and Tavern 62, among others. He has won James Beard Foundation awards, authored two cookbooks, and appeared on the TV shows Top Chef Masters , Iron Chef and Every Day with Rachel Ray. He also holds patents for his innovative meat aging process and serving tray. We sat down with Chef Burke to talk about his humble beginnings in the industry and the hard work, determination, and creatitivity that it takes to be successful. Brian Concannon is a human rights lawyer and the founder and director of the Institute for Justice & Democracy in Haiti. He co-managed the Bureau des Avocats Internationaux (BAI) in Haiti from 1996-2004, and worked for the United Nations as a human rights officer in 1995-1996. He helped prepare the prosecution of the Raboteau Massacre trial in 2000, which was one of the most significant human rights cases anywhere in the Western Hemisphere. Mr. Concannon has received fellowships from Harvard Law School and Brandeis University and has trained international judges, U.S. asylum officers, and law students across the U.S.
Brian sat down with us to discuss what it means to be a human rights lawyer, some of his most important cases to date, and the biggest challenges and rewards of his job. 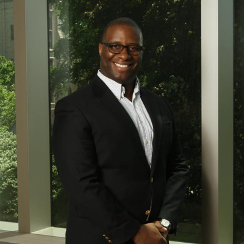 Mark Fleming is a global business solutions executive at Alibaba Group North America. Alibaba, founded by Chinese biliionaire Jack Ma, is one of the word's largest online commerce companies, with transactions on its Web sites totaling $248 billion per year. Prior to his work with Alibaba, Mark worked as a venture capitalist and served as an economic advisor. Mark joined us to discuss what it means to do global business and how students can best prepare themselves to live and think globally. Robert Hasserjian is a hemapathologist at Massachusetts General Hospital and an associate professor of pathology at Harvard Medical School. Dr. Hasserjian works closely with oncologists and hematologists to provide optimal patient care. He has served on the executive committee of the Society for Hematopathology and on the Education Committee of the United States and Canadian Academy of Pathology. Dr. Hasserjian is a member of the Pathology Advisory Committee for the World Health Organization Classification of myeloid neoplasms. Dr. Hasserjian spoke to us about what pathology is and showed us how he makes diagnoses by examing patients' cells under a microscope. 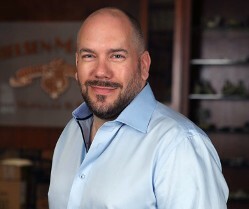 Matt Nielsen is a third-generation owner and vice president of operations at Nielsen-Massey, a family-run gourmet company that has produced top-quality pure vanillas and flavors for over 110 years. They have received sofi™ Gold Awards (National Association for the Specialty Food Trade, Inc.) for their Madagascar Bourbon pure vanilla bean paste, which is also the first of its kind to be organic fairtrade certified. Matt began working in the family business when he was 15 years old, sweeping floors and cleaning tanks. Today his responsibilities include overseeing all operations at the company’s headquarters and manufacturing facility in Illinois, as well as its manufacturing facility in The Netherlands. Matt spoke about the importance of understanding your business' consumers and continually striving to best serve them. 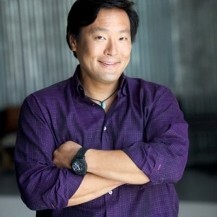 Ming Tsai is a celebrity chef and restaurateur who specializes in East-West cuisine. His restaurants have won recognitions including"Best New Restaurant" (Boston Magazine) and the Ivy Award (Restaurants & Institutions). Chef Ming also hosts the TV show Simply Ming on PBS, which has been nominated for the James Beard and Emmy awards. Chef Ming recently joined us to talk about how he discovered his passion for food as a child and how his career has progressed since then. 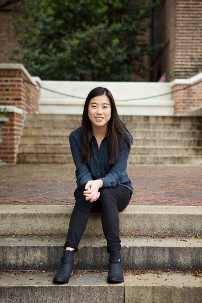 Jennifer Yu is a Boston resident and recent graduate of the University of Pennsylvania, where she studied creative writing. In her free time, she enjoys reading books she’s too old for, roping unsuspecting friends into listening to her play the guitar, and being far too invested in Boston sports teams. Most of her pop culture knowledge comes from binge-watching late-night talk show clips and occasional, nervous forays into the depths of Tumblr. Find her online at byjenniferyu.tumblr.com or on Twitter @yuontop. Jennifer recently joined us to talk about her journey from being a passionate writer from a young age to publishing her debut novel, Four Weeks, Five People, in 2017. 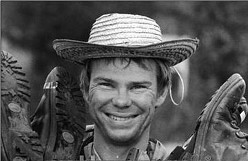 George Meegan holds eight Guinness World Records and is the author of The Longest Walk: The Record of our World's First Crossing of the Entire Americas. The following excerpt is from his book Democracy Reaches the Kids! Mr. Meegan has graciously provided us with a digital copy of the entire book for use on our site. We will have the complete text available for free to all educational NPOs in developing nations. Please e-mail us at info@CharitableConfections.org for the passcode to gain access. Let me hastily explain: By 'state' I mean the world, the planet upon which we all live and act out our lives, though it is not the planet itself per se that is our concern—for that will go on irrespective of us—but the condition of our human presence existing a as veneer on its surface. That relationship has to be our ongoing and solemn responsibility. Next of course come the children, those in whom I maintain the greatest confidence and highest expectation. Within this glow I wish to make clear that I DO also include—and strongly so—ghetto kids, and even a goodly number of those who have already slipped into criminality. So to repeat: it's society first and then the kids. That's it. We can unify these two thrusts by the view that whatever is good for the child is usually, automatically, good for society as a whole. “A ten-year-old with moderately good raising is at home in the world. In the West it is the failure of the child's mentors in the succeeding four or five years to translate his confidence in people into a more broad ‘cosmic’ world in which he broadens his buoyant faith to include the universe. The Q&A with George Meegan, below, was conducted by our intern, Amrow Hegazy. What do you think is wrong with the current mainstream educational system? My analysis is that it became a bureaucratic snipe-pit that it limits the future of the kids. The teachers work for this system. The system is so dominant. It doesn't deal with he urgent crisis in America which is children's health. What do you propose to be a better educational system? Democracy Reaches the Kids. The inspiration is based on basic education. Up to this point I've never heard anyone in education define what they are aiming at. What the society needs is literate kids. - Celebration of what they can do - personal talents. - What the country needs of them. You're an advocate of physical fitness; do you think that having a fit body positively impacts one's ability to learn and concentrate, and if so, in what manner? Yes. Physical fitness is vital. This generation of young people are looking onto the screen often. Many need to go outdoors and participate in physical activity. Some kids are tremendously good at sports, and some aren't. One could climb, a tree mountain or go fishing. The general sweep of young people is high energy that could be utilized for education in the physical dimension.